Professor Amalfitano is crazy. 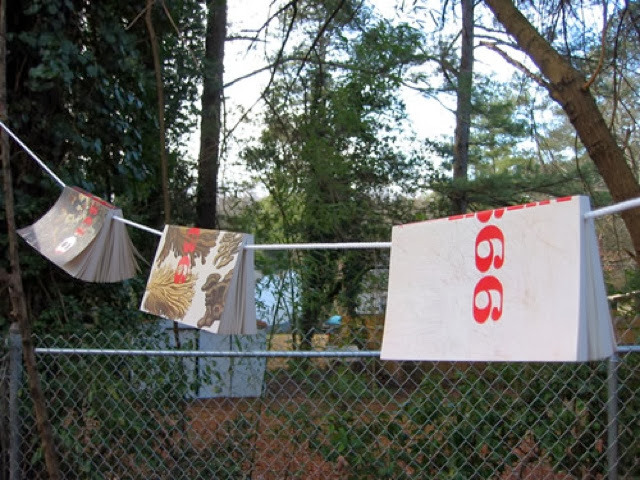 He hangs a book of geometry on the clothesline (which perhaps is one of the smartest things to do with such a book). He constructs very simple geometric figures and labels each vertex with names of famous people such as Aristotle, Thomas More, Plato, Diderot and Mendelssohn, “dictated by fate or lethargy or the immense boredom he felt thanks to his students and the classes and the oppressive heat that had settled over the city.” He hears a voice which begs him not to be a queer. It reminds me vaguely of the film A Beautiful Mind. Now, I don’t for a minute thing that the human begin is the closest thing there is to a rat. But, I do think there is far too much cowardice. It is indeed far easier to see what we want to see, and it takes much courage to look at truth. I wonder why Bolano has one of his characters propose such a thing; is prose not his favorite medium? I think a very small part of him is mocking the great writers, and even his own efforts. But that’s just a supposition on my part, with no textual support any where. Plus, I’ll take prose over poetry, or geometry, any day. Tomorrow, thoughts on The Part About Fate. Previous Post Totally Off The Subject of 2666, Doesn’t Bolano Remind You of Sean Penn? Bolaño wrote a story called “Police Rat”, a detective story set in a sewer. The protagonist was a cop detective (who happens to be a rat) on the trail of a predator of baby rats. There was a code in the sewer: “Rats do not kill rats”, their own kind. A serial killer of rats was on the loose and the rat detective suspected something ominous and hard to accept. That rats are also capable of killing rats. Rise, telling me of that story helps me a lot! It helps to out that phrase in context, as I was thinking quite literally of a scurrying rodent skulking through the darkness of gutters bent on selfish intent. Wait. Of course there are humans like that. But at least there are some of noble capabilities and yearnings. And it is indeed tragic that rats and humans are capable of killing their own kind. Let me make a prediction: none of us reading 2666 right now will ever come up with a better photo for our posts than that one. It would make a nice cover for the book itself! is prose not his favorite medium? No. Bolaño wanted nothing more than to be a conceptual poet. His turn to prose was a concession of defeat. But this is why poets and poetry are so often the subjects of his fiction. Another illumination for this reader who first did not really like Bolano, but whose appreciation is growing by the day. Literally. There's a Bolaño-esque story out of Russia in The Guardian today about a drunken argument between friends concerning whether poetry or prose was better ending in one friend killing the other. Oh, dear! How fascinating in light of our discussion, and now I cannot 'accuse' poor Roberto of being emotionless any longer. Apparently, this is an emotionally laden topic for some! I think his prose is really just poetry in disguise. Even in the obscurity of his meanings it is poetry. Oops, didn't mean to say *just. * I meant his prose IS poetry in disguise. My take on Amalfitano is that, rather than being crazy, he may be going through a nervous breakdown over fears that he has placed his daughter's life in jeopardy by bringing her to Santa Teresa. Of course, we don't really know that for sure until the end of “The Part About Fate.” He could be going crazy, though. Guerra, Jr. is a great character or at least a very quotable one! Going back to Amalfitano, one of the things I really liked about the segments where he begins to hear voices is his questioning about how the abusive talk he receives from his father or grandfather telepathically seems real in terms of how they would have talked to him in real life but doesn't make sense in terms of the Mexican–rather than the Chilean–accent the voice has. A fine example of Bolaño's sense of humor (in my opinion) but also a way he targets the machismo rampant in some parts of Latin America and merges realism with something seemingly otherworldly while leaving it up to the reader to sort out what's really going on. Bolaño is really respectful of his readers in this way; he doesn't hammer them over the head with his message–unlike me in this comment, ha ha! P.S. I like Claire's comment that Bolaño's prose is poetry in disguise; at the very least, many of his passages in almost all his novels flow with a rhythm that, while seemingly simple and conversational, have something “poetic” about them. I think looking at his prose as poetical is spot on. For me, it's oblique at times, but also lyrical. I too agree with Claire – Bolaño's lyrical, poetic energy is so intense for me. Much of the pure delight I draw from his work (actual content aside) comes from how he plays with language. I need to read that story that Rise mentions… This is what I adore about a group-read – exploring together! Also, you might enjoy reading Bolaño's poetry. I read (and reviewed) his collection called Tres last year. Reading his poetry certainly casts a different light on his prose. If I struggle to gain meaning from his prose, I can hardly imagine how I'll fare with his poetry. Yikes! But I completely agree with you about the joy to be found in a group read. I must be the only one who doesn't find Bolaño's prose poetic at all. It sounds pretty prosaic, very ordinary. At times I thought I was reading a James Ellroy novel. He's not a great stylist, but perhaps he's a good storyteller, which is something not to be embarrassed about. I guess what makes me say it's poetic is the element of allusion. I don't find a particular cadence, just obscure references to things that aren't a part of my culture and thus can be difficult for me to fully grasp. Like when Richard referred to the humour in Mexican vs. Chilean accents, or the machismo in Latin America; I have no reference point for that. This sounds fascinating and quite unusual… I must look out for it in the bookshop! I always enjoy reading books with an element of intextuality, and this sounds like a good contender. I've only read The Savage Detectives by the author so far, and I'm keen to try some more of his writing. I also loved A Beautiful Mind!